One of Maryland's first counties, Kent County is a genealogical treasure trove.The County Historical Society is active and maintains genealogical files on local families, and some of the County Court's records go back to 1656. Those interested in field work will find the Upper Shore Genealogical Society's multi-volume publication, Tombstoning in Kent County, an invaluable reference. 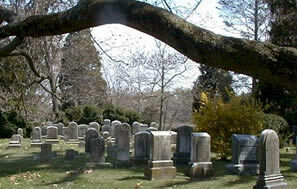 It documents the many private burial grounds, as well as the cemeteries, and can be obtained from the Society or from the Kent County Public Library in Chestertown. Each volume includes a Surname Index. A list of local genealogical resources is on the left.